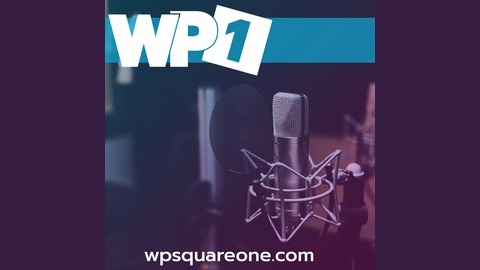 Micah: [00:08] Hey, welcome to the WP Square One podcast. This is Micah Wood. Aaron: [00:13] I am Aaron Reimann, and we are here with Andrew Norcross who is the Senior Engineer and Developer Advocate at Liquid Web. How are you doing, Andrew? Andrew: [00:24] I’m doing well. How are you all? Aaron: [00:27] Good. It’s Friday… But anyway, tell us a little about yourself. Andrew: [00:32] Okay. Let’s see, probably relevant to what you all are doing here, I am a Senior Engineer and Developer Advocate over at Liquid Web on the product team, working on the managed platforms. I do a lot of R&D. I do a lot of internal product development stuff. I’ve been involved in the community for over thirteen years now, maybe a little more; somewhere around 2.4 or 2.5 is when I got started. I built a slew of plugins. I ran an agency for a long time. That’s still one of the VIP partners. I’ve done speaking. I’ve done this, that, and the other. I’ve done just about everything that can be done in the community—short of working for automatic. Aaron: [01:29] That’s a lot. You said two-four, two-five. What year would that be? Is that ’05, ’06? Andrew: [01:34] Yeah. I started using it before my son was born. He was born in 2007. And I say using it like I started developing on it. A friend of mine had a website and needed to host something. I had built a server because I had access to a bunch of stuff. I still worked in finance at the time. I never used it before I built on top of it. I was never a user. I went from zero to… I use the word “developer” lightly because I didn’t know what I was doing at all. Aaron: [02:04] I’m in the same boat. I had a friend that needed someone that knew PHP. I started doing some PHP stuff and I knew nothing about WordPress at all. I started hacking it, doing it the wrong way, but it was PHP. Andrew: [02:24] I’d never even seen PHP before. Andrew: [02:28] Yeah. I taught myself how to code. I started doing it when I was a little kid. I was about eight years old. This was in the 80s. This was basic dBase. Foxpro, I think a little bit was thrown in there. This is command line. This is GOTOs, IF…THENs, very raw stuff. I quit when I was ten because I wanted to be cool. This was before the internet, which meant you couldn’t find other nerds that did the nerd things you did. If you didn’t happen to know people that did the stuff you did, you either did something else or you didn’t have any friends. For me, at least, you just did what the kids in the neighborhood did. [03:14] Again, I had no way of even finding other people that were in programming at the age of eight or nine, and there was no internet. There was no way at all to even think about how you would find these people. I quit then, and I didn’t get back into it until my twenties. I was working in finance and I could not have been more bored with the job. I started messing around because I had time and I just wanted to do something that seemed interesting. This was all accidental, every little bit of it. Aaron: [03:48] I don’t want to assume that you’re successful, but I feel like everybody knows who you are. You had an agency. Do you want to walk through how your agency started and what moved you over to Liquid Web? Andrew: [04:11] The agency was me freelancing for a long time. My son had just been born. My wife at the time, she’s an attorney, she had finished law school and she was starting to work. At the time, it was going to be I was a stay home dad, and I was going back to school full-time so I could make my mama happy and get my degree. Within six months, I was busy. I’m like, “I’ll just do some of this nerd stuff on the side, make a few bucks.” And from there, it just took off. It was just incredibly well-timed. I had no idea that it was good timing. I just showed up just before everybody else did. [04:54] When everybody showed up, I was already here. That was really the only reason why. I didn’t do anything super special. And I just started coding a lot. I felt that I was behind everybody, because everyone that I was talking to had been doing this for, at that point, five, ten years maybe even. Some of them had been programming since they were teens and never stopped. And then I’m jumping in. I was twenty-five, twenty-six, maybe. I’m thinking I’m so far behind everybody else. [05:32] I released a lot of plugins, a whole lot of plugins, and it went from there. The agency grew just simply out of taking on clients. Slowly and slowly, it grew. I ended up taking on a partner. In 2016, I had some stuff that I was dealing with. Josh Eaton took over more of the day-to-day management, and he’s so much better at it than I am. It’s not even funny. It also pointed out, at least to me, that I was burned out. I didn’t really have time to pause or stop for six years or however many years it had been. [06:19] From there, we had a couple of conversations and I decided to step back. It’s his company, and they’re doing great. They’re hiring. They’ve been pushing out fantastic work. I just went to have a conversation with Chris Lema, who’s my boss now, but he and I have been friends, he’s a business mentor for years before that. He was still putting together his product team and the timing worked out, so I just shifted over there. Aaron: [06:50] What do you do now within Liquid Web? I mean, I know you mentioned it, but tell me a little more. Andrew: [06:59] It’s all over the place in the sense that we have the managed WordPress platform that we had initially put together before I got there. We’ve been retooling it. It wasn’t put together the way would have wanted it. It was there before any of us got there. From there, I’ve built a handful of plugins for WooCommerce because we also have that managed WooCommerce platform, so I’ve been working on that. Some of the stuff has been internal, not so much big company secret stuff, just really hard to explain without context that you wouldn’t have if you weren’t on the daily standups. It’s really just been going back to writing, building plugins more or less, building out features which ended up getting in plugins, which is what I like to do. [07:54] That’s what I like to do. I like to build stuff. It was a real good setup in the sense that I didn’t want to deal with all the admin stuff and everything else that goes along with running a company; even if it’s just by yourself, all the insurance, and taxes, and everything else. My son’s 11 years old and I want to be able to spend as much time with him as possible. I don’t want to have to deal with payroll and all this other junk. Everything lined up perfectly to slide right in, and I’ve been there for… I guess it’ll be two years in May. Micah: [08:28] How has your day to day changed since you were running the agency and now that you’re doing this? Andrew: [08:36] My day ends. That’s probably the biggest change. My day to day used to just be one ongoing, never-ending day. In the sense that even at night I’d be sitting there watching TV or watching a movie with my son, but I would also be on my laptop working on a scope document or trying to close a couple of tickets. Or we’d be out doing something, but I would also have an email going in Slack to talk about something. It was that kind of stuff that just started to really wear on me. I didn’t see it. Everyone else saw it around me. Usually, I’m the last one to see it. My day-to-day is that days start and days end. It’s nice in the sense that it’s not always breakneck client-pace work. [09:33] Some stuff I built might never see the light of day, and that’s totally okay. It has absolutely zero impact on whether or not I get paid, which, money isn’t everything, but it’s certainly something. It’s been great. It took me a while to adjust to working forty hours a week because I thought I was slacking. It probably took me a good six to nine months just to fully adjust to the idea that I could start and I could stop, that I had anybody above me at all because I hadn’t had a boss in ten years, more or less. But also just in the sense that I had other people around. It was just getting used to the fact that I don’t know everything going on all the time and that’s perfectly okay. Whereas before, obviously with a company, any time you run with that, you know everything going on. I hit a point where I couldn’t keep up anymore. It’s been really nice. Micah: [10:42] I’d imagine a lot of people starting out, running their businesses, trying to get the business started, or get the business to grow, or all the different phases through there. It’s real easy to fall in that trap of just constant working. Andrew: [10:59] Not long after I started, I was maybe about a year or two in, and I had begun working probably a good eighty to a hundred hours a week for close to two years, and it almost killed me, literally. A combination of things, but a good friend of mine happened to see me out like twice or three times in one week. I had never left the house that much to be honest. He looked at me and he’s like, “You don’t look good. You don’t look healthy.” He was right. It was bad. That’s when I was on Twitter all the time and people thought that I had like those automated tools because they’d see timestamps, and I’m like, “No. That’s actually just me.” I would just go to sleep for a couple hours, wake up. [11:45] I just eat when I was hungry. I’d switched my phone to twenty-four-hour time cause I had mistaken a.m. and p.m. more than once. It was not good at all. It was not healthy. Weirdly, the worst part about it is that it worked, it was successful. I never had to hunt for business. It was always busy. It was always there. Again, a lot of it was just timing. When people started looking to WordPress, I was one of the people that was there. Aaron: [12:22] Nice, that’s cool. To a certain extent, it’s one of those things I know when I went out on my own. I was doing work. If the client needed it, and I was hungry, my family was hungry, I would work until… I don’t think I’ve worked past three in the morning, but I had some nights where it was rough. Andrew: [12:48] I saw a lot of sunrises. Aaron: [12:50] I never got that far. But now that our agency is… We’re not big. We’re seven people and a handful of contractors, but it’s nice. I’ve taken vacations and stuff like that. That’s really cool. So, I can totally relate to that. Working at Liquid Web and then not knowing everything about what’s going on, that’s got to be nice. As a business owner, I need to know a little about every little thing. Andrew: [13:24] Exactly. I’ve always been the kind of person that if I don’t know anything, that’s fine, but I don’t want to know a little. I either want to know something or I don’t. Getting to the point where it’s like, “Here’s the information that’s relevant to the task you need to do. There’s probably been five or six meetings about this beforehand and you don’t have to care about any of them.” Once I got that mind shift of, “This is what I’m working on. I’m not liable for everything that does or doesn’t happen.” I don’t have to worry about all of it. Once I’ve fully swallowed the fact that I don’t have to know everything all the time about what everybody else is doing, it just became a whole lot more fluid and I’m relaxed most of the day. Micah: [14:16] I’ve also noticed you’re not on Twitter as much. Andrew: [14:24] That was weird because I got on Twitter really early. I had passed the 10-year mark of being an active user last year, back in August, amongst a handful of other people that I’m friends with. I just realized that it wasn’t the Twitter that I remembered it. I was wishing it still was. That was gone. If I have to pick one thing, it’d probably be the pure volume of unadulterated hate content that the site spews. I realized that, first off, I don’t want to contribute to that. Even if it’s with my eyeballs, or with clicks, or whenever, I can’t stop them, but I can stop participating. The other thing was I realized that just getting that fire hose of information all the time wasn’t good for me. [15:23] Once I cut that off— And it was probably August of last year. I remember because I was actually about to get on a flight, so I did the thing. I’ve deleted it. I set it to inactive. And then I came back two, three weeks later and I found a command line tool. I just purged everything out of the account. I unfollowed everybody, and then I set it to private, and I threw a thing— Basically, it’s a placeholder, if nothing else. If they ever decide to let people take other usernames, I don’t want anybody to squat it. But it’s linked in so many places at this point. Who knows? Maybe it’ll turn around and be something worth using again. Probably not, but (inaudible 16:05). Aaron: [16:05] Like Foursquare, because Foursquare did a great job. Andrew: [16:10] Well, the splitting of the two was dumb. That was just a bad business decision. I think the worst part about all this stuff going on on Twitter is it’s been good for business. That’s why they’re not doing anything about it. The revenue is up, advertising is up, engagement; all the numbers that all those people want to see. It’s a car wreck. It’s just a twenty-four-hour, non-stop car wreck that you get to drive by as many times as you want, and I couldn’t participate there anymore. Who knows? Every now and then, I pop in, I look and see if anybody said anything to me that was important. Otherwise… I deleted all the apps. It doesn’t stay logged in on any device that I have. They don’t get my tracking. They don’t get my cookies. They don’t get any of that stuff. Aaron: [17:06] That’s one of the things that I’ve become paranoid about. I have different profiles for everything. My Facebook and Twitter is in its own little profile. Any time I need to tweet something or put something on Facebook, that’s the only time I load that profile and then I’m done because I don’t want them tracking. It just makes me a little paranoid. Andrew: [17:30] Actually, that command line tool that I use, you can tweet from it, which means you don’t even need to have to open Twitter. I’ll give you a link to it later. I deleted Facebook in 2010. Actually, let me take that back. I deleted the account that I had, and then I created a fake account that I use for testing, where we have to work with all the meta tags and all the sharing stuff. I just needed an account that I could post to. And so, that social graph has got to be the most bizarre thing I’ve ever seen. It’ll be like six months of nothing, and then a whole rash or content getting shared and tweeted, and then nothing again for six months, and then totally different kind of content getting shared and tweeted. [18:15] I got rid of that, and then I have an account that has zero friends, that’s 100% private lockdown just for things that like I have to log in with Facebook for. And even that at this point, I’m always like, “I don’t know if I want to log in with Facebook.” I still think about it, but other than that, I have Instagram. That’s probably the only one that I use. I have Tumblr, that’s just for weird stuff. Otherwise, I realize I’m not online as much. I don’t have as much free time, and I found out that that that was taking time away from things that I actually enjoy, so I stopped doing it. Aaron: [18:52] What type of stuff do you enjoy? I know you’ve written a ton of plugins and I know I’ve used a few of them. I think the Genesis Palette Pro? Andrew: [19:07] That was the big product. That was easily the most successful product that I’ve ever built. That’s still going; Reaktiv still owns that. When I walked away… And the walking away was a totally good process. Josh and I are still friends. It was fried is what it was. Everything stayed with them. I took one or two old, old clients that I had since before I knew him. They were small retainer stuff. I just kept doing it because I’ve been doing it for so long, and they’re going great with it. [19:50] I don’t do as much development on my free time anymore. That’s probably been the biggest shift for the last couple of years. I used to joke around that I write code to take a break from writing code. I don’t really do that as much anymore. As I said, my son’s older, so we do a whole lot of stuff together. I build LEGO all the time. It’s fun. I’m renovating my house slowly. It’s taking forever. My whole life is boring, adult stuff. [20:19] I’ve got two dogs. We do stuff. I do a decent amount of WordCamp. I still speak a good amount. And the last two years, I’ve started traveling to places I like to see bands play in that city instead of my own. I actually just bought tickets to go see a band play in Brooklyn in a couple of months. I try to do that. My parents are getting older, so I try to spend time with them. Just things like that. I try to do normal life stuff, which actually isn’t nearly as boring as I had always thought it would be. Micah: [21:01] I got into the habit of working too much as well. My kids are getting older, too, so I’m trying to take time and spend time with them. You kind of think, “Oh, I don’t have anything going on. I should do something productive.” But yeah, it’s actually better just to spend time with them. Andrew: [21:23] I’ve actually gotten to the point now where I try to get to bed at about the same time and I wake up about the same time. Everyone’s like, “Oh, you get to work from home. You can do whatever you want.” I’m like, “Yeah, I still work basically the same hours. I just can get stuff done during the day when everybody else is at work so I don’t have to deal with lines.” Other than that, I figured a few years, my son will be old enough that he won’t want to hang out with me anymore because I won’t be cool anymore. I’ll be old. [21:54] I figure it’s a relatively short window until he’s not going to want to hang out with me anymore. Again, like I said, my parents are getting older; my dad’s not doing that great. Who knows what’s going to go on there? So, this is the perfect time to have a job where I know that I’m support. I’ve got awesome team members, and co-workers, and great management above me where I can walk away from my computer and I don’t think about it again until the next day. It’s awesome. Micah: [22:20] Cool. In relation to your dropping off social for the most part, are there any other… Because I’m sure that helps you with your productivity, and being able to focus, and all that kind of thing. Are there any other productivity-type things that you’ve discovered or done lately? Andrew: [22:41] It’s weird. I mentioned before, I taught myself how to do this. There’s a whole slew of these tools out there that exist that I have no idea how they work. Because of that, I built my own debugging tools and I built my own stuff. There’s a whole lot of things that if anybody else tried to do it, it would be so long and arduous and it would make no sense to them. But it makes perfect sense to me, because there weren’t these cool debugging tools that we have now, so I had to make my own if I wanted to debug something. But otherwise, for me, it’s a lot of times just keeping communication channels open or closed. [24:13] I’m having my coffee and breakfast, but I’m starting to, in my head, work on what the heck I’m going to do that day. I’ll usually code a little something. I’ll patch something unrelated. I’ll patch something or I’ll work on a small feature on some side thing that I’m working on, just to get my head in that sort of mode of, “All right, this is what we’re going to be working on.” I’ll dive into what I’m doing, and then it’ll be night-time. Especially now because the sun goes down at like five o’clock. Aaron: [24:46] If you were to go back to square one, what would you do differently? Can you give us anything that you would recommend? Andrew: [25:06] I don’t think I’ve done anything right in the sense of, most of the things that have worked well have worked well in spite of me, or it’s been one of those things where as long as I didn’t actively mess it up, it would have been fine. A lot of times, when I see people getting started, the community seems incredibly overwhelming, and it is. It’s pretty big; small compared to a lot of others, but to us, it’s big. And especially for a lot of folks coming in who aren’t really familiar with any online communities, it can be pretty big and it can be pretty intimidating. I’ve had plenty of people tell me that they were nervous to talk to me, which is bizarre because I am in no way important, or special, or above anybody. [26:05] Get to know people before you try to impress them with how good you are at coding or whatever it is that you do: design, copywriting, whatever the case might be. Don’t be so eager to jump in and show work. Just get to know people and feel it out a little bit. I think a lot of times, people shoot themselves in the foot by just diving in and just not knowing personalities. The other thing would be, call out the things that you see. [26:39] I think especially for some of us, especially folks that have been around for a long time… Again, I don’t pay attention to social. I don’t look at track every twenty minutes. I don’t even keep the WordPress Slack logged in on anything other than my main computer. There’s probably stuff that some folks don’t see. Always just point out, “Hey, I don’t think this is right.” Don’t just go with something because somebody who is important said it. [27:10] I am frequently wrong, so I’m more than okay with somebody pointing out, “Hey, I’m not sure about this.” Because it will either confirm it. Either way, it’ll be better. Just get to know folks before you dive into the technology side and stand up for whatever you’re bringing with you. Because I think the whole point of a community is to have diverse voices and diverse backgrounds. We don’t know about that unless you say something. Aaron: [27:43] I would say there’s some of the community that they are quiet. I think some people are intimidated by some of the—and I’m doing air quotes—”big” speakers in the WordCamp community and stuff. I mean, it’s one of those things where they’re just people. I mean, you are a very tall guy so it’s a little intimidating. Andrew: [28:06] I mean, I did finger and neck tattoos. I’ve been doing public speaking since I was a kid. My old man’s a minister, so I grew up watching my dad speak. I have absolutely zero fear of public speaking, which is already ahead of a whole slew of people that do it. Again, I’m just fortunate in that regard. Don’t be. None of us are that important. Many of us are lazy; that’s why we’re programmers. Just don’t ever think that we’re too big. If anybody in the community says they’re too important to talk to you, just tell me, if anything, but just laugh at them because that’s the only appropriate response to that statement. Micah: [28:55] Andrew, since you are not on social media, how can people find you? Andrew: [29:06] Google me? I don’t know. That’s always the weird question, that people are like, “How can I find you?” I’m like, “I didn’t know you were looking for me.” I still go to a lot of WordCamps. That’s the way I like to give back, is just to be there and help out where I can. I do have that WordPress Slack. If someone needs to reach out to me for a reason, I do see that eventually. I have a mailing address if someone wants to send me a nice card. Otherwise, I’m out and about. I don’t disappear too much. Aaron: [29:41] That sounds good. I’m sure I will see you at at least some WordCamp somewhere. I don’t remember the last one it was I saw you, but somewhere in Florida, I think. Andrew: [29:52] Yeah. I didn’t get a chance to go to US last year. I was in Japan at the time, so actually, I arrived back home the day that WordCamp US started or the day after it started. I assume I’ll be in St Louis. But yeah, I’ll probably be at Miami. I’ll probably be at Orlando, probably be in Jacksonville. I can drive to those, and I’m sure I’ll be at a handful of other camps this year. Aaron: [30:16] Sounds good. Well, thank you for your time. 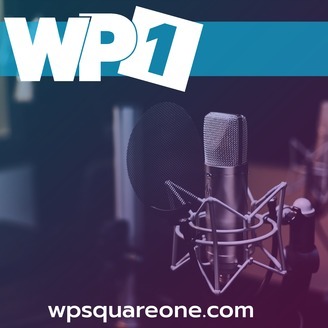 The full content for Andrew Norcross (Liquid Web) can be viewed on WP Square One.